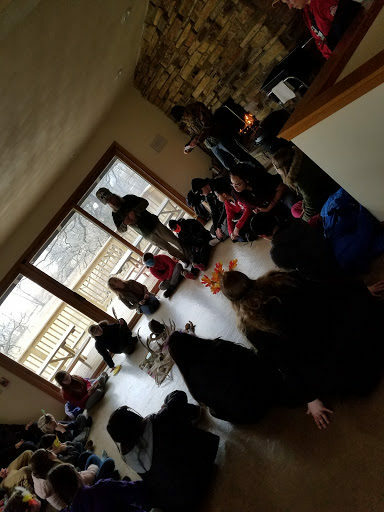 Three-Day Angelic Organics Overnight Field Trip! 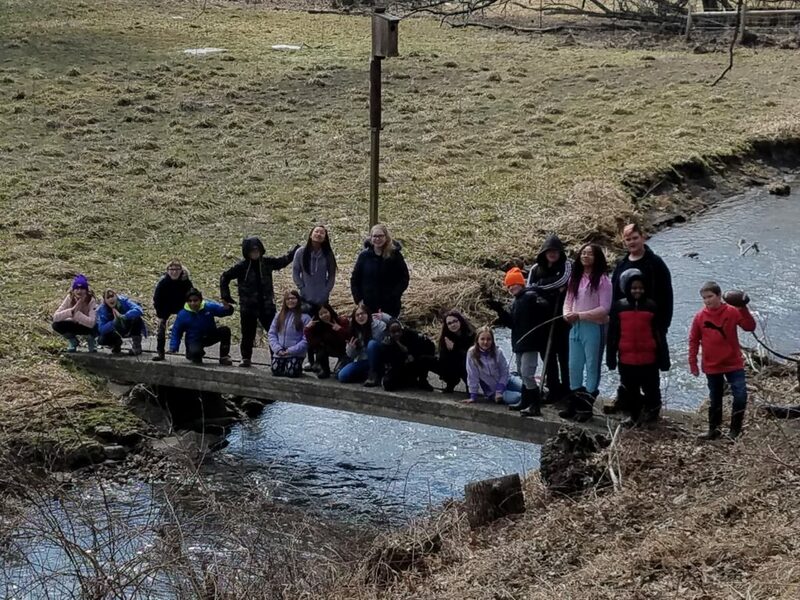 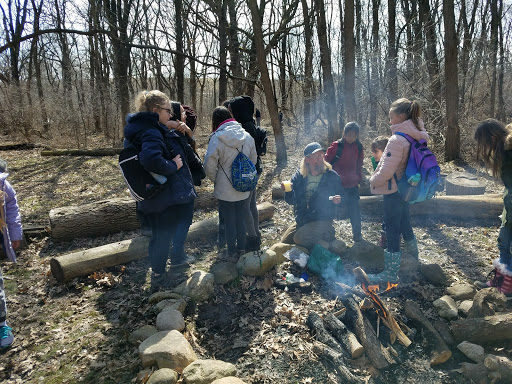 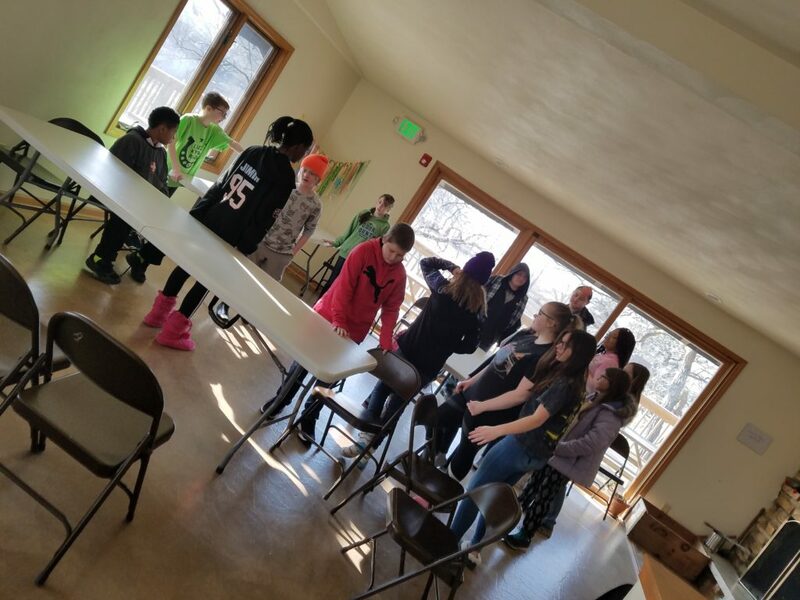 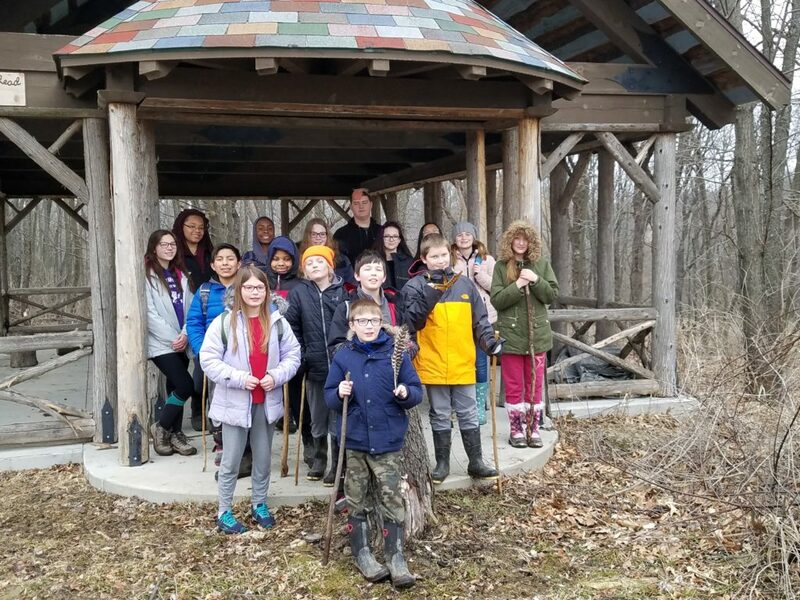 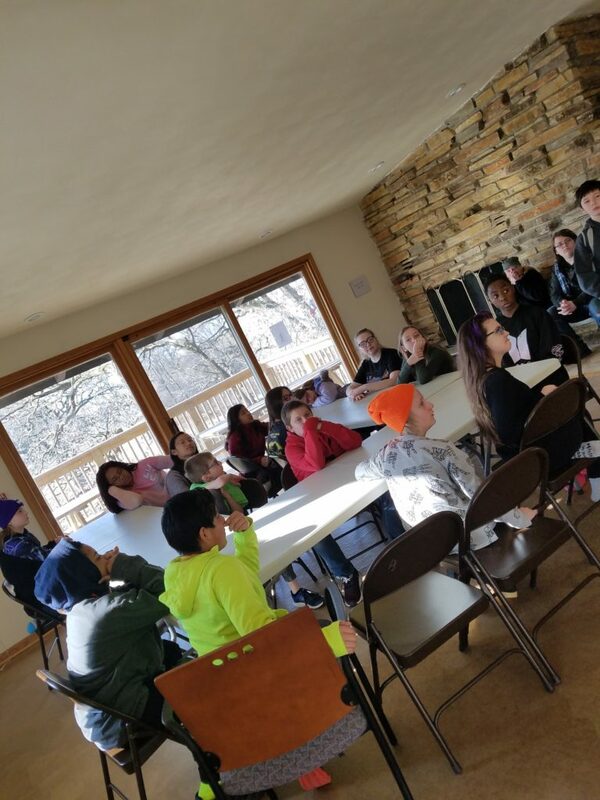 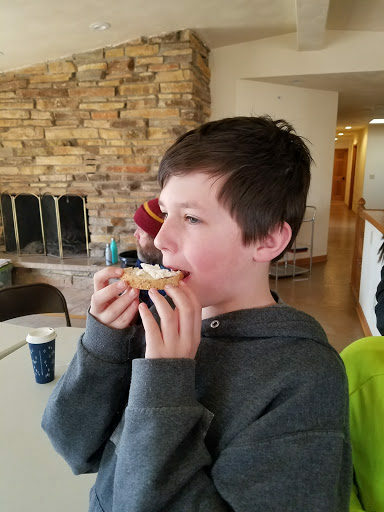 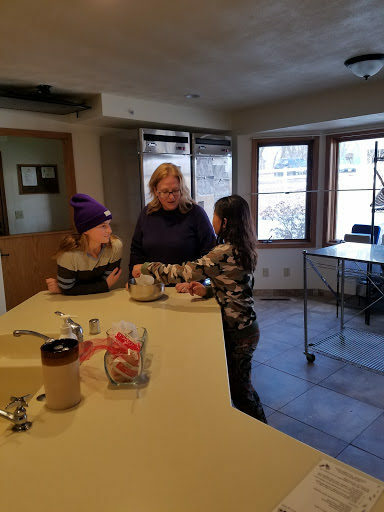 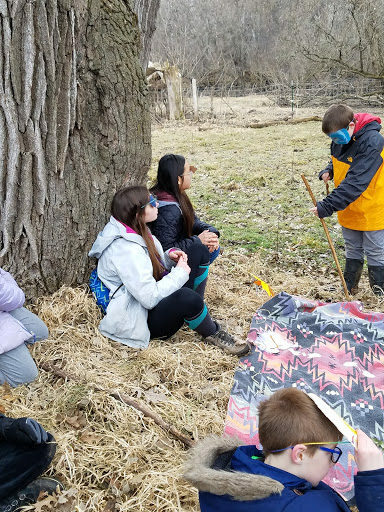 Upper Elementary and Middle School students got to go on a wonderful adventure for three days to Angelic Organics’ new lodge! 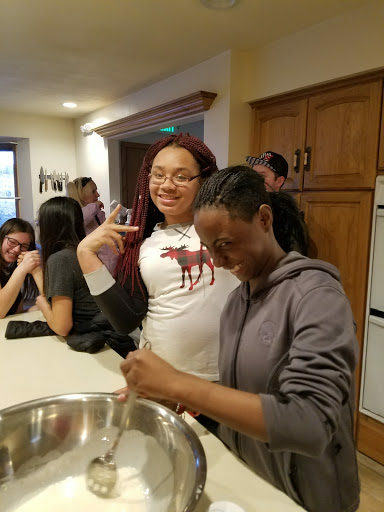 The students had an amazing time, and we are so excited about the possibility of future partnership with such a great organization! 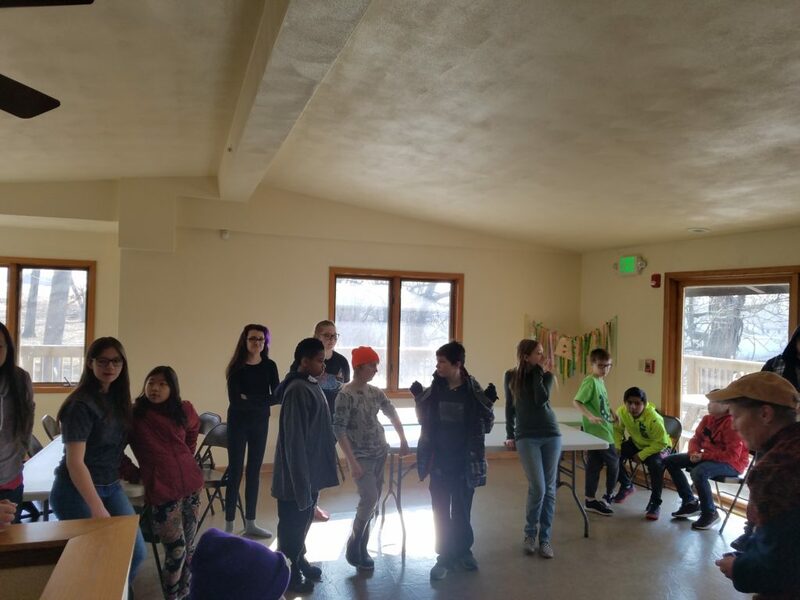 Students had to design and set the space up for themselves for the next three days. 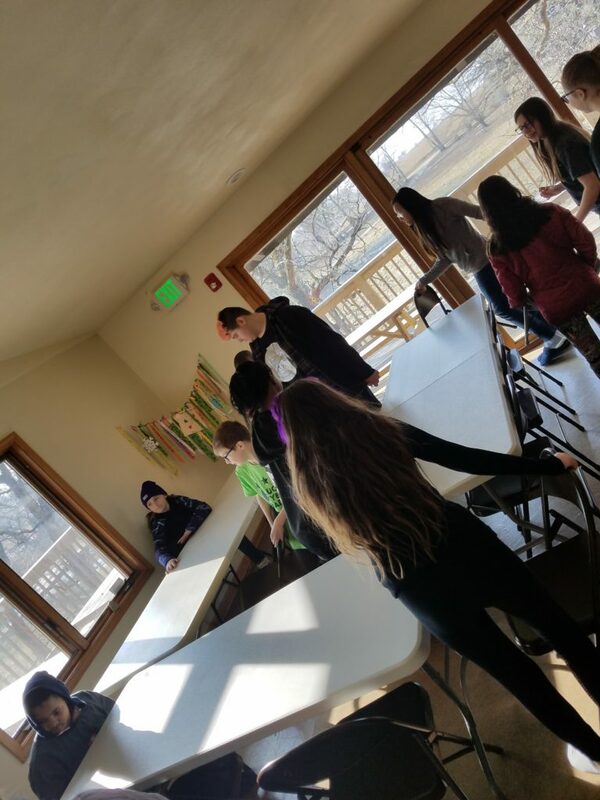 Katie from A.O gave them a chance to change the arrangement after lunch, thinking the kids would find it too close. 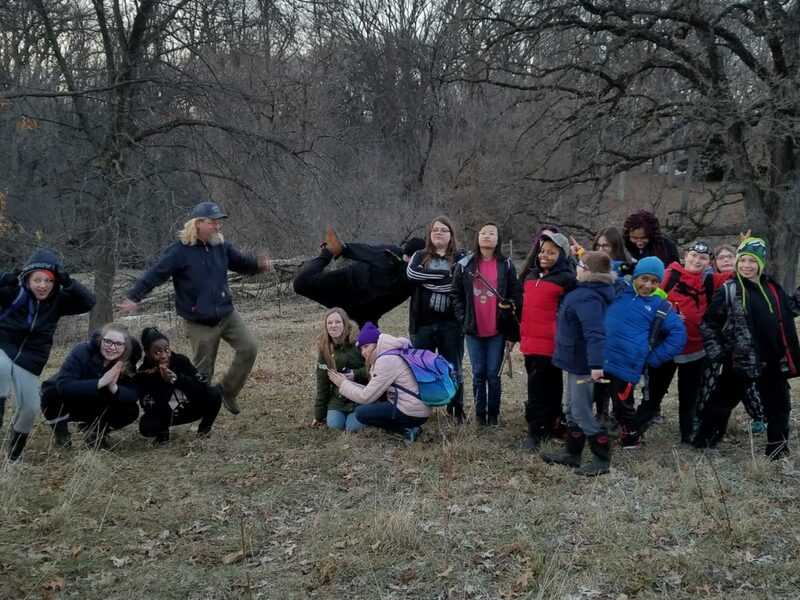 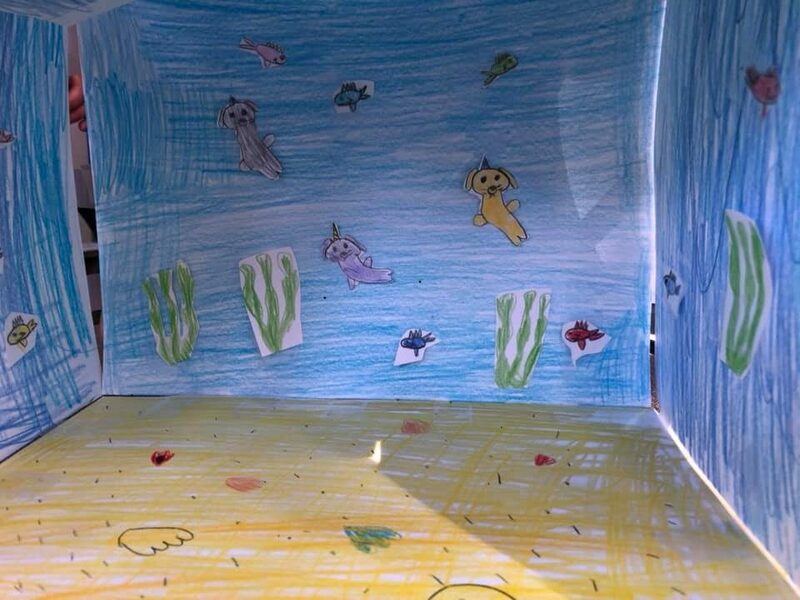 But our Spectrum students loved being together and showed just what a tight knit ecosystem we are! 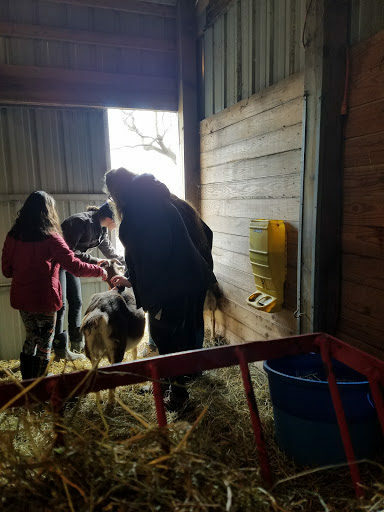 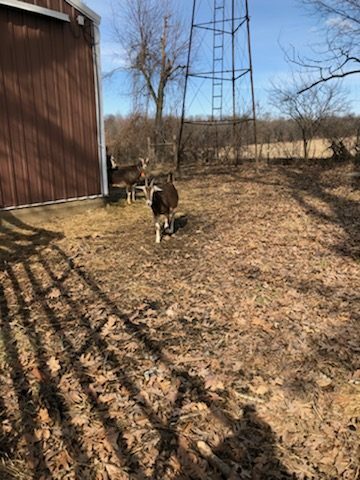 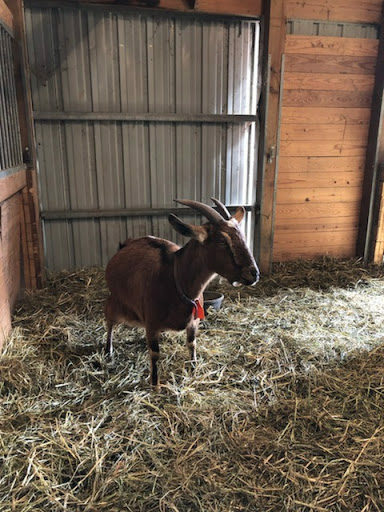 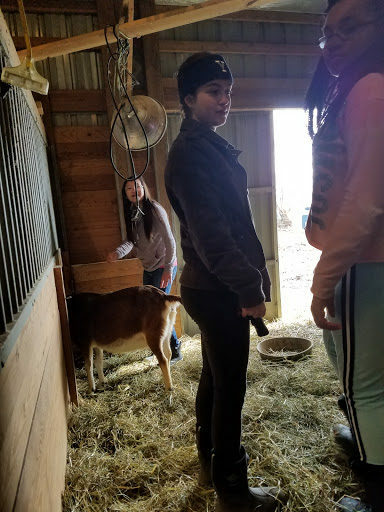 Students got to take care of four adorable and kind pregnant goats due to deliver in just a few weeks. 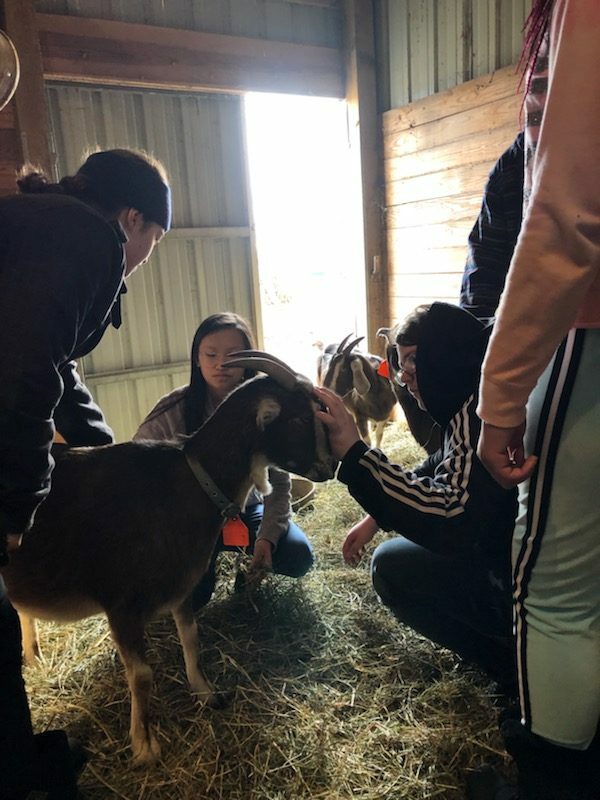 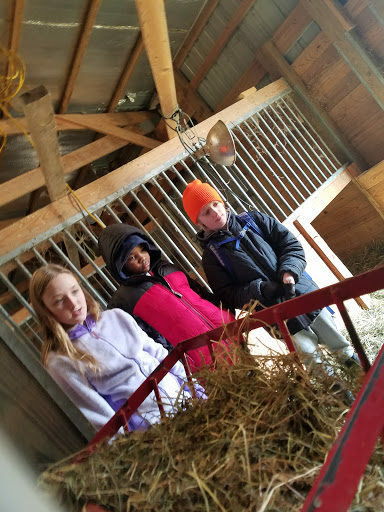 Students fed, watered, and snuggled these animals who are an important part of keeping the ecosystem healthy. 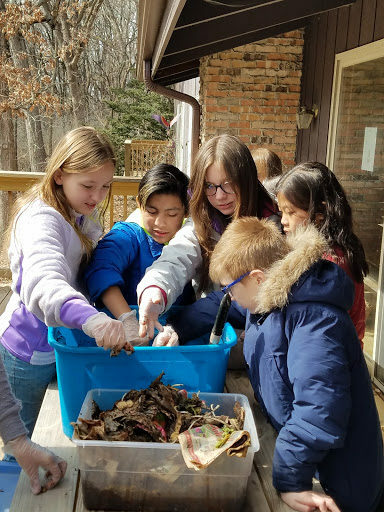 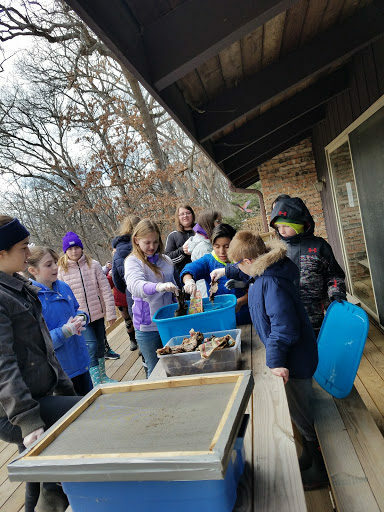 Students filtered through a worm compost bin to pull out the amazing organic fertilizer, as they learn about the important job that decomposers have in our ecosystems. 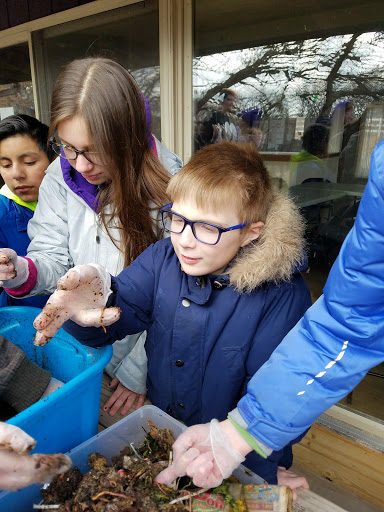 Did you know 1,000 red worms can fit in a softball size globe? 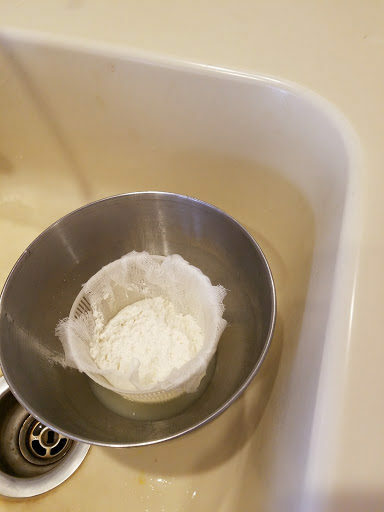 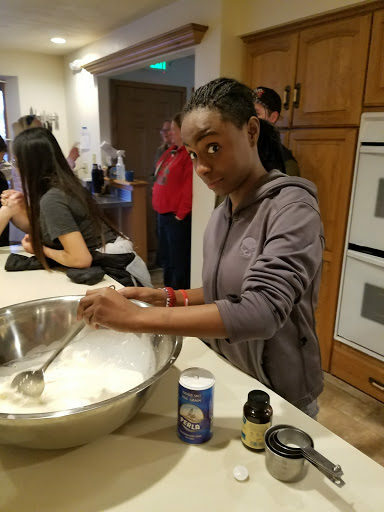 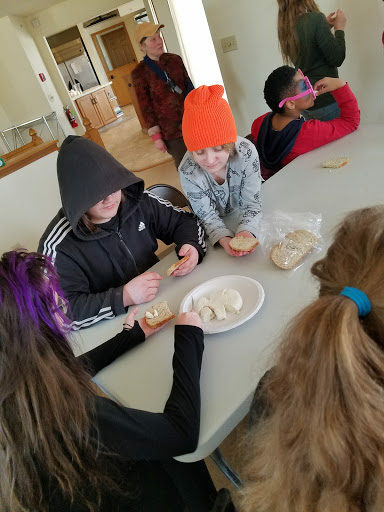 Students got to make goat cheese from scratch! 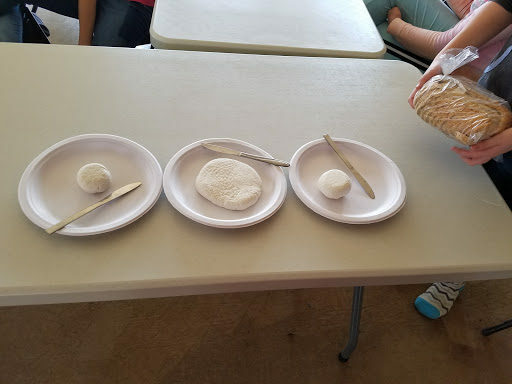 We learned about the importance of using acids to break down the milk, as well as how cheese first came into being (believe it our not it was in the hot middle east desert)! 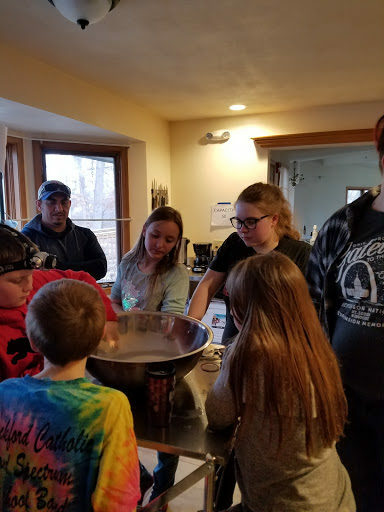 Katie from Angelic said this was the most successful cheese making she had ever done with students! 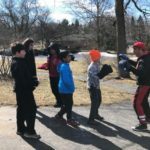 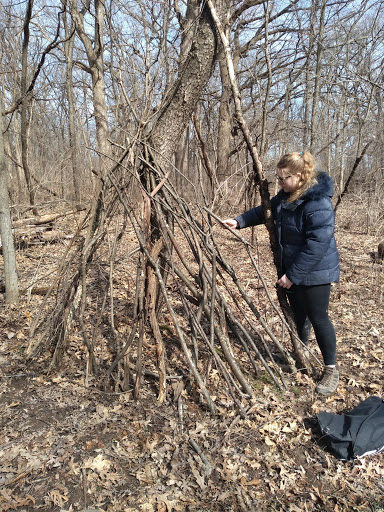 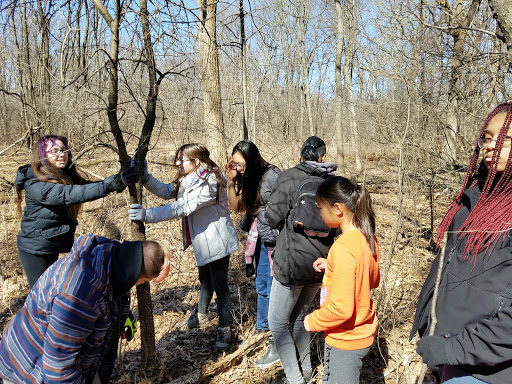 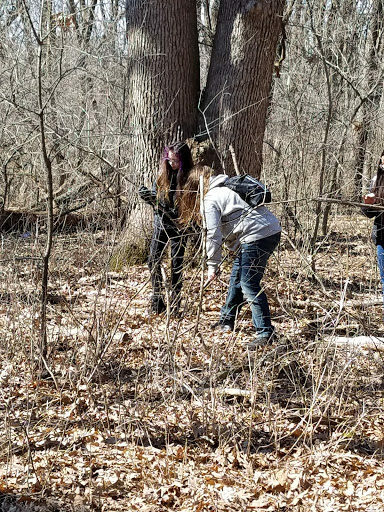 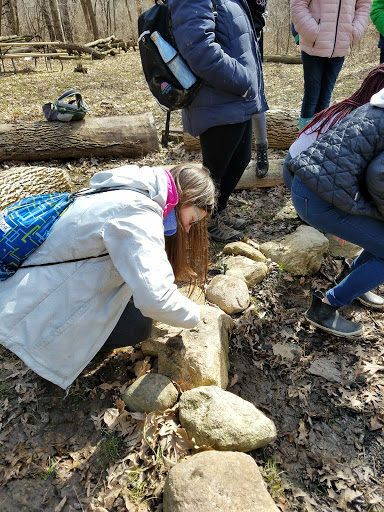 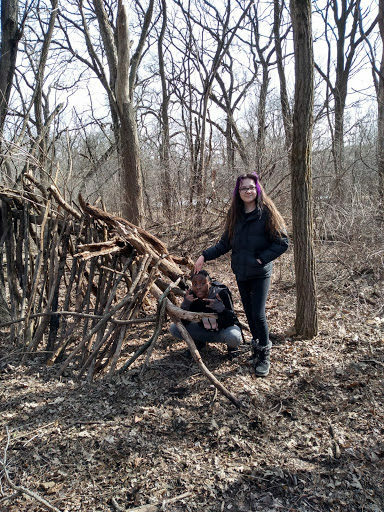 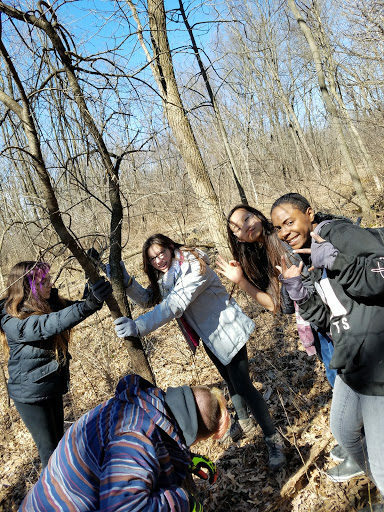 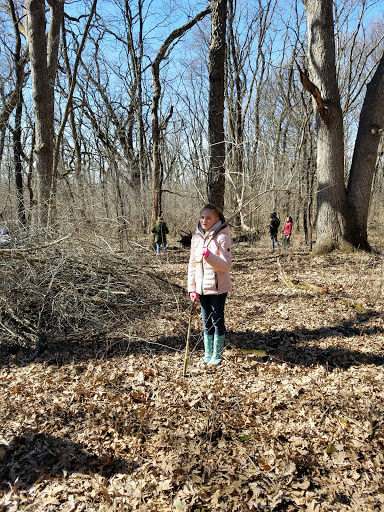 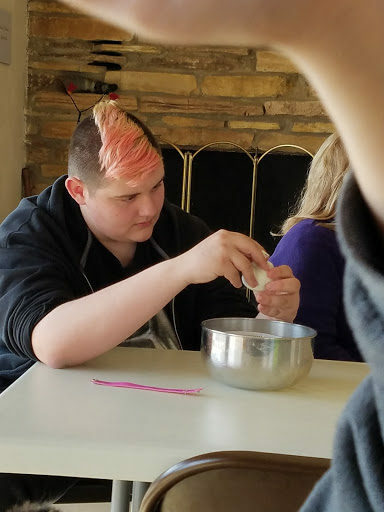 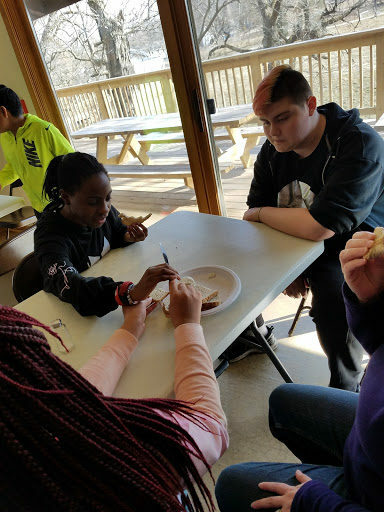 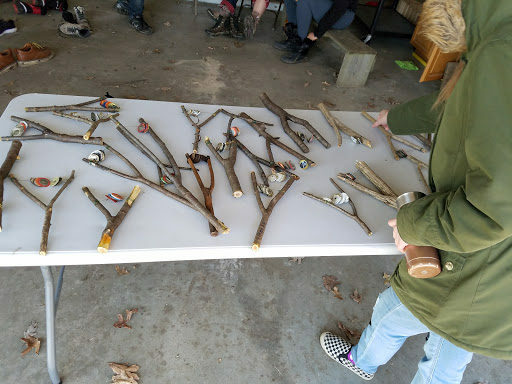 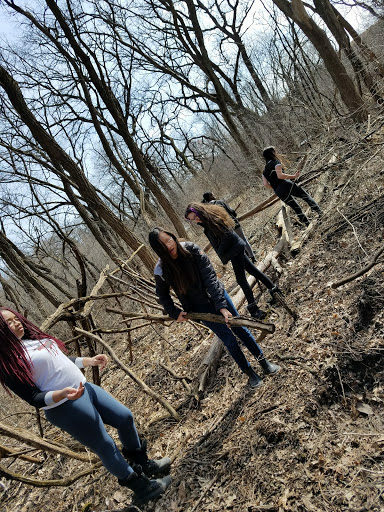 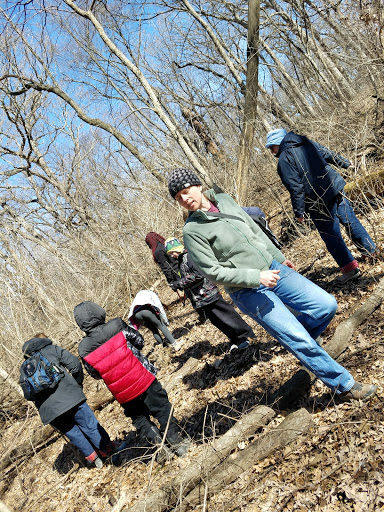 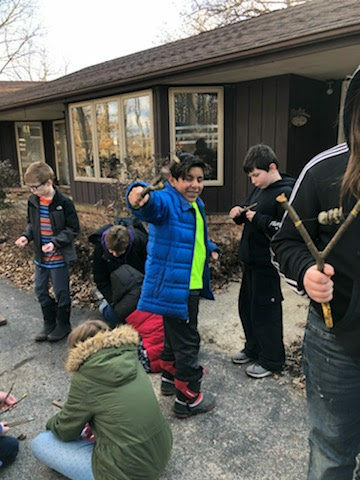 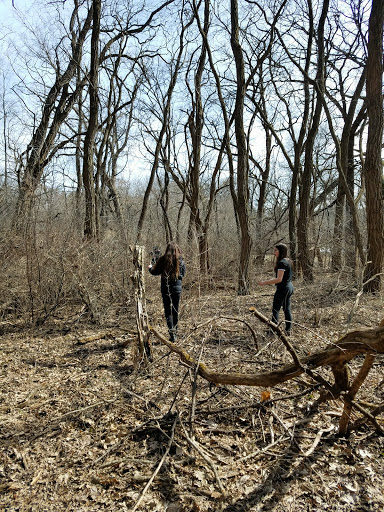 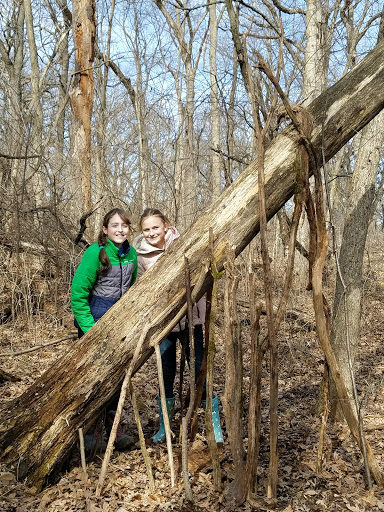 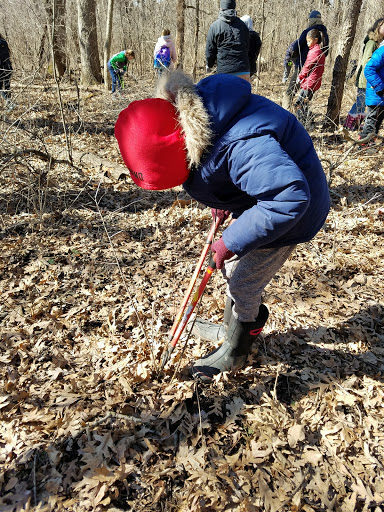 Students lopped off invasive species branches and used them to make homemade rattles which we later used on our nature appreciation hikes. 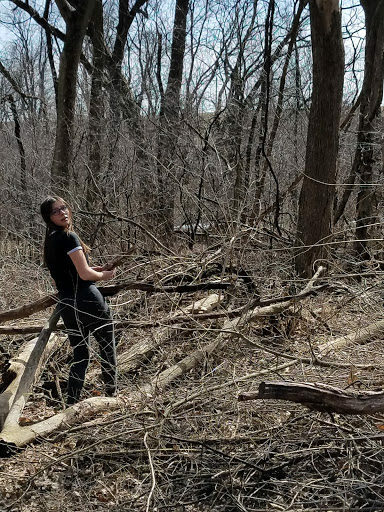 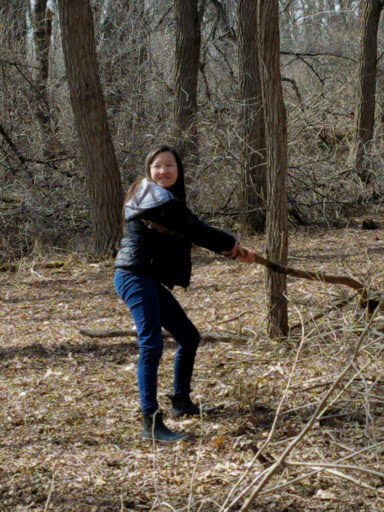 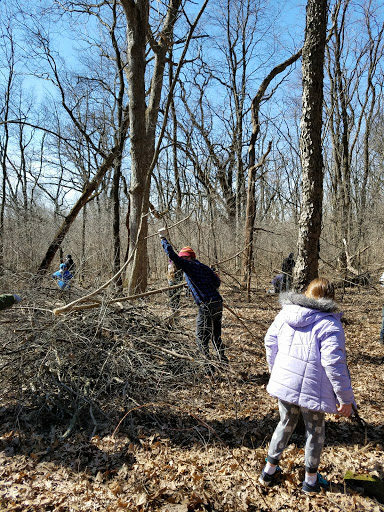 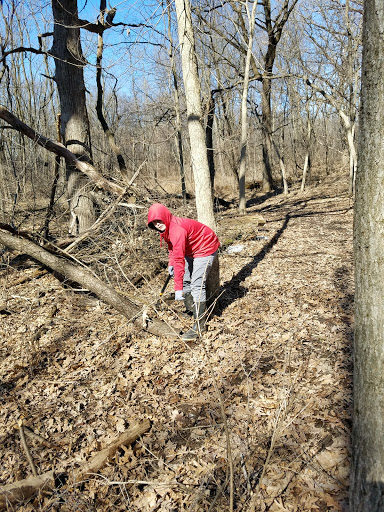 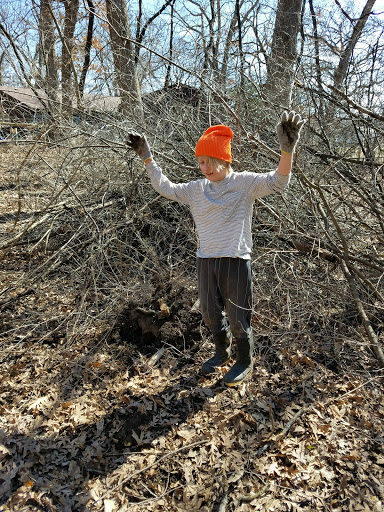 Our kids were put to work helping take down a field of invasive honeysuckle and buck-thorn trees. 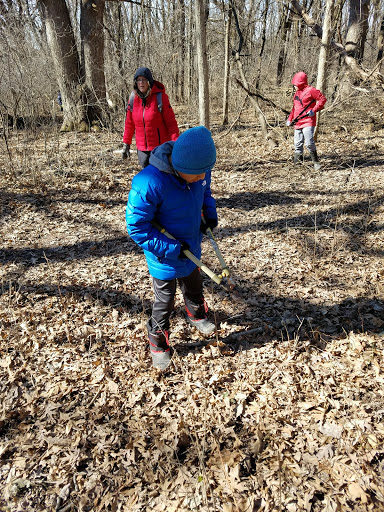 It was amazing to see kids working for almost two hours pulling the roots out of the ground, or using hand saws to take down massive trees. 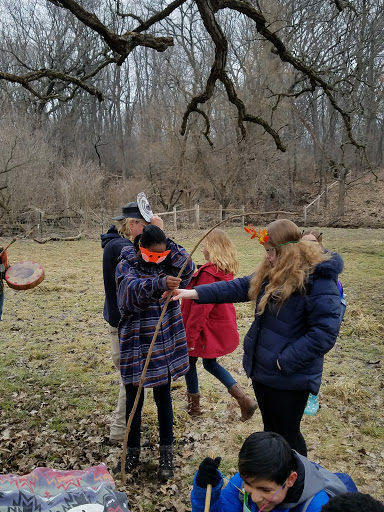 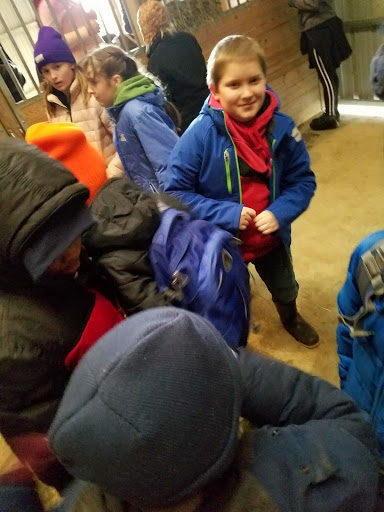 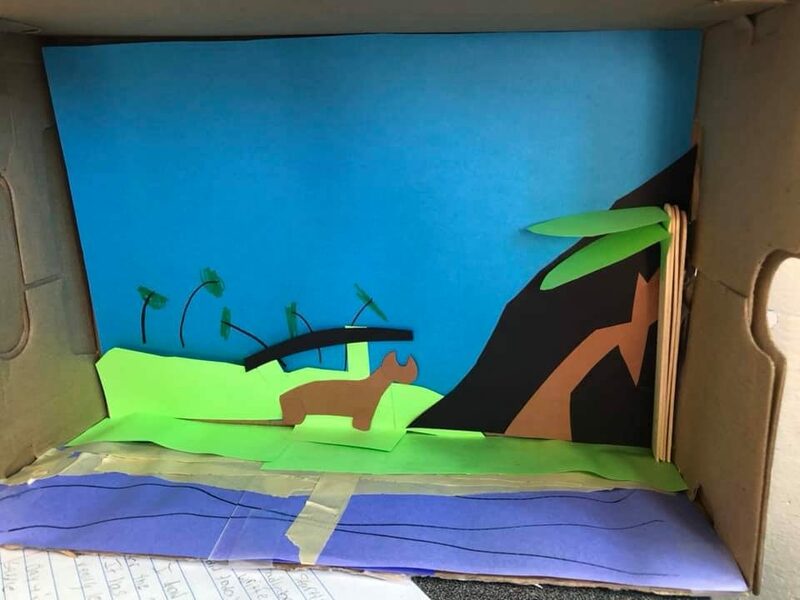 We learned that the natural Oak trees that were meant to grow often get strangled out because of the species brought over by European settlers. 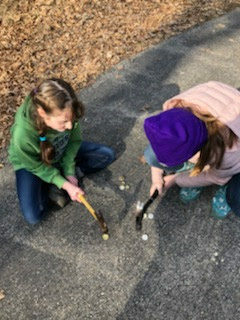 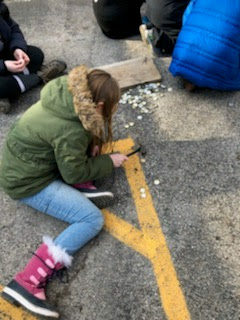 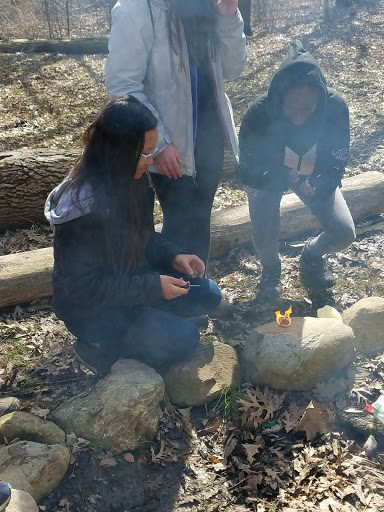 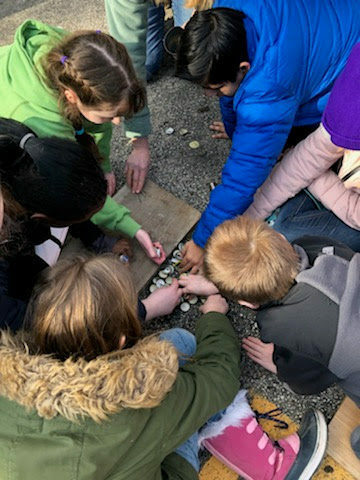 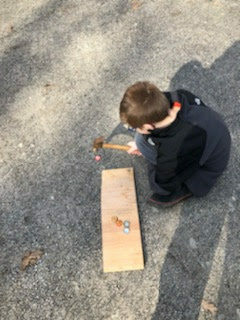 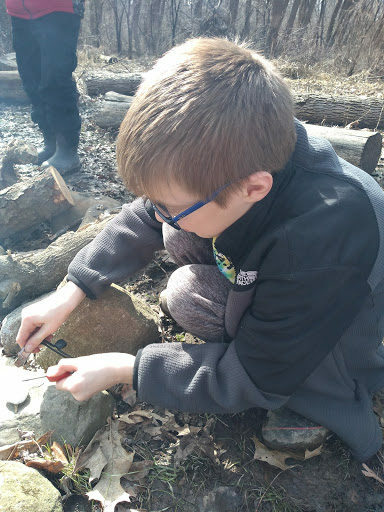 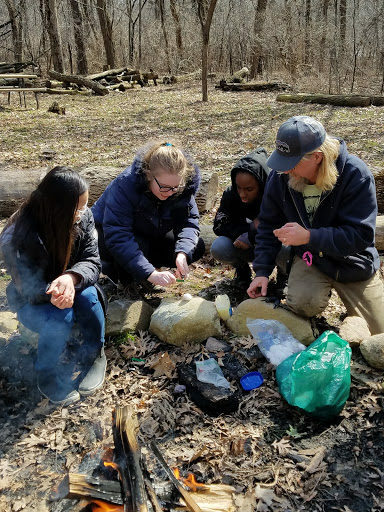 Students practiced lighting fires using flint and steel. 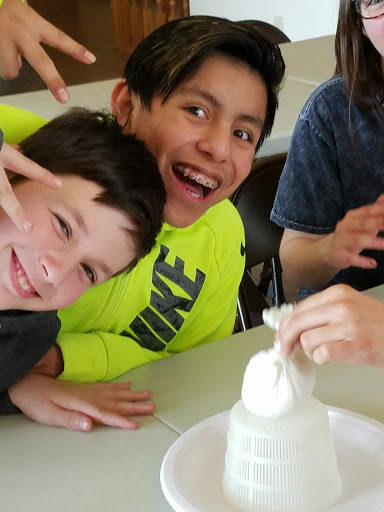 They sparked cotton balls with Vaseline and then quickly put them out with a knife! 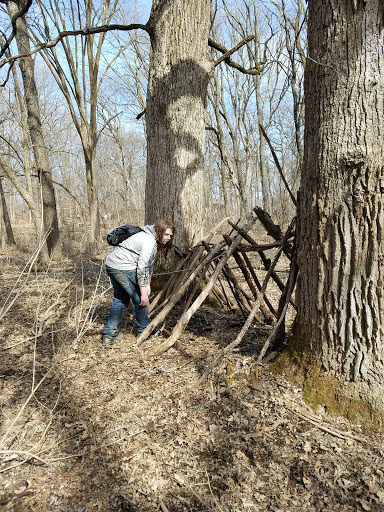 They also took those same pesky invasive species and made emergency shelters which would help you survive if you got lost and had to stay in the woods. 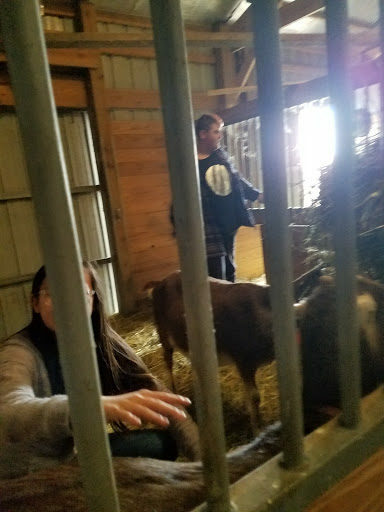 The goat cheese was so yummy, we couldn’t wait to try some ice cream. 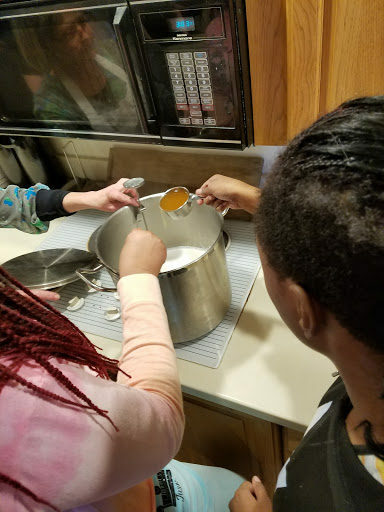 Students made no sugar, no preservative, oh so healthy and delicious treat, using organic honey and Madagascar vanilla. 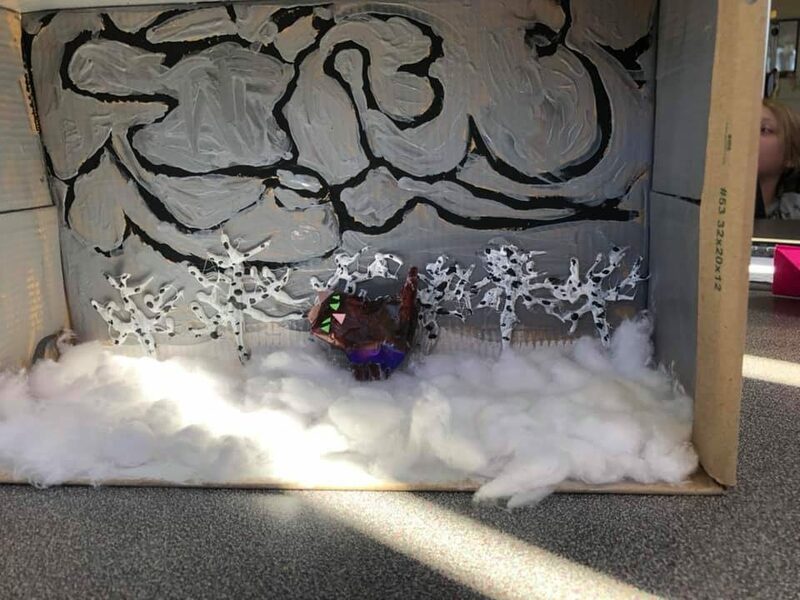 The culminating event was the Council of All Beings. 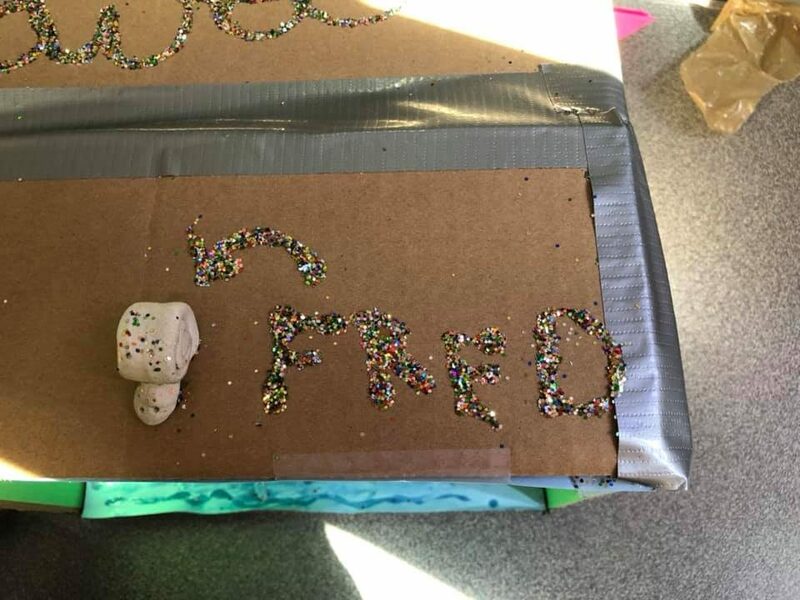 Each student chose a being to represent and created a mask. 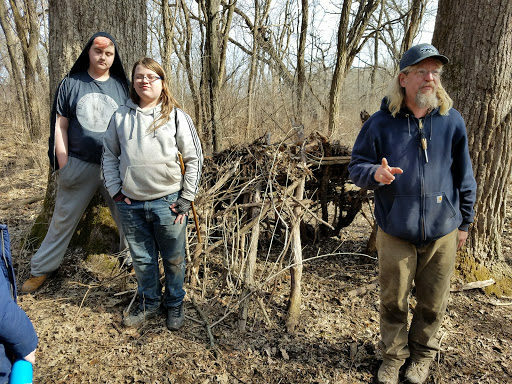 Then, in a “becoming ceremony”, paraded up the walk into the lodge and entered the space as their being. 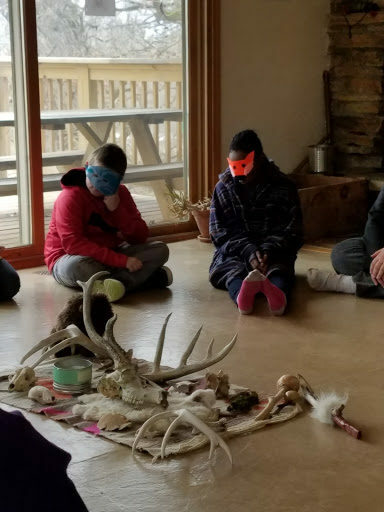 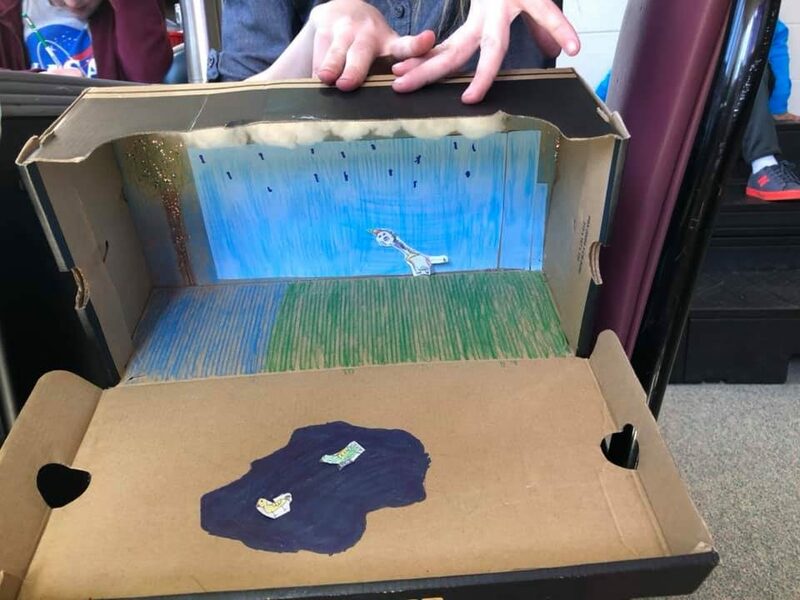 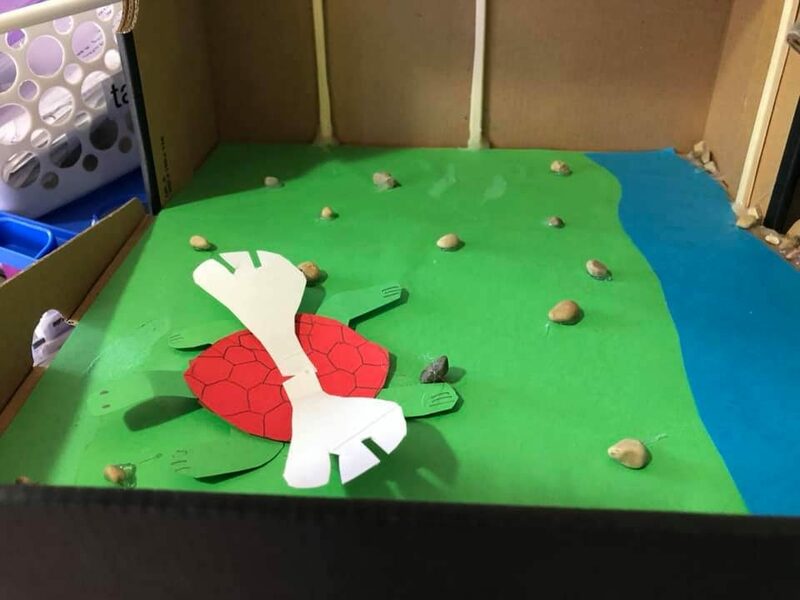 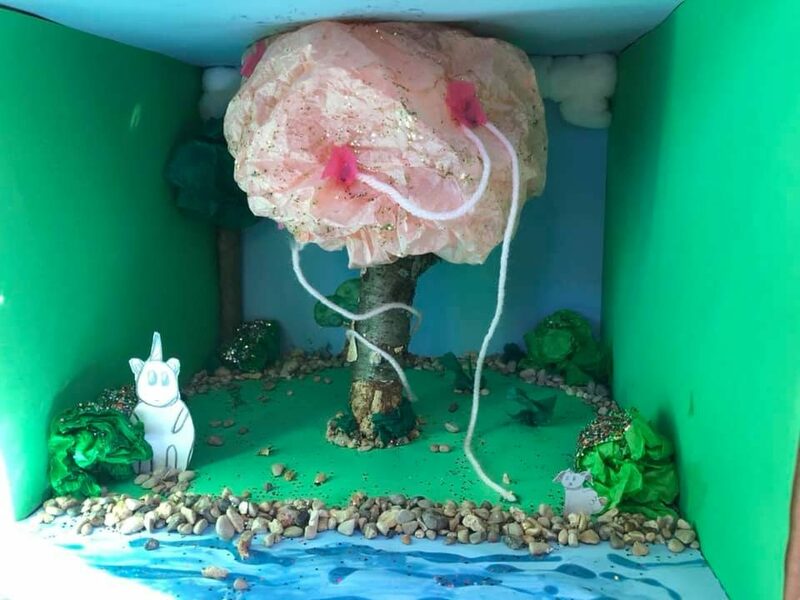 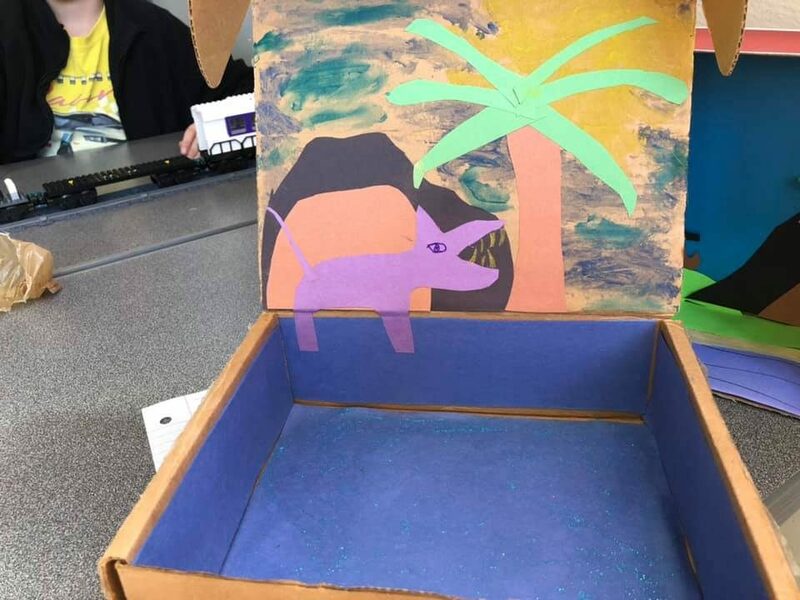 After honoring the 7 directions, students were asked to share from their beings’ perspective what they fear from how mankind treats this planet. 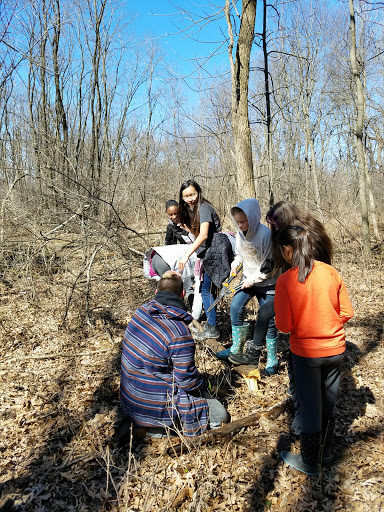 They were also asked to share what gifts they give humanity and what wisdom is to be learned from nature. 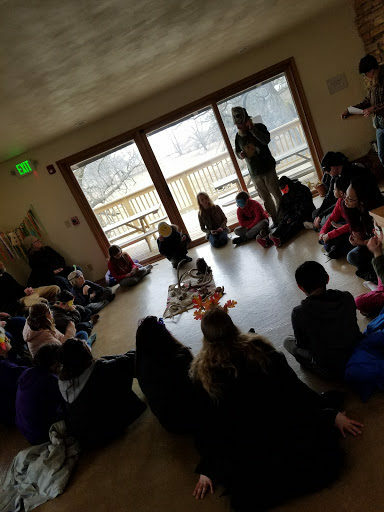 It was a sacred and beautiful event to see, as the adults gathered on the outside of the circle to silently bare witness to young voices speaking for the Earth. 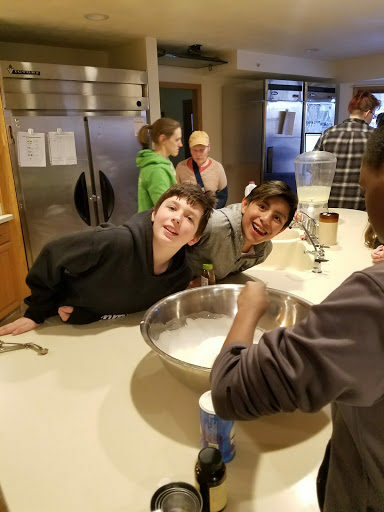 Have a fun and relaxing Spring Break!